There are currently 1 user and 1797 guests online. 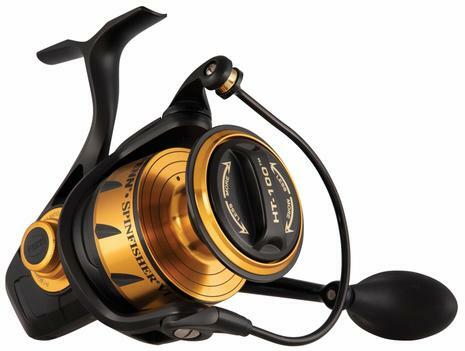 The NEW Penn Spinfisher VI! The PENN Spinfisher VI features IPX5 sealing so whether it gets hit with a wave, or you let it ride in the spray all the way home, you don't have to worry about saltwater getting into the gearbox or drag system. Out HT-100 drag washers are housed in a fully sealed spool to give the stopping power needed for big saltwater fish. A Full Metal Body and sideplate keep the CNC Gear System in precise alignment under heavy loads. Available in standard, Live Liner, Long Cast and bail-less models! Come in store this weekend and recieve 10% off these brute reels - Just mention you are a Fishwrecked member!